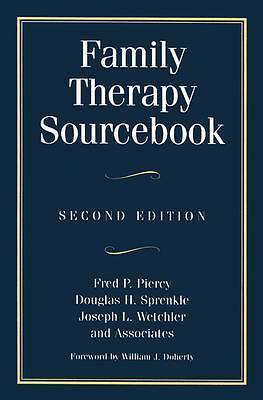 This resource provides the most up-to-date, comprehensive overview of the family therapy field available today. All the chapters from the first edition have been updated. Each contains concise descriptions of the topic area, definitions of key theoretical and clinical concepts, research ideas, and a list of key books and articles. Featured for the first time in this edition are topics, such as psychoanalytic family therapies, psychoeducation, and internal family systems therapy, as well as cogent discussions on such issues as the social construction of gender and the historical foundations that influence the field. New chapters have been added to cover the social constructionist family therapies, culture and family therapy, and specific problem topics such as AIDS, substance abuse, sexual abuse, and family systems medicine.